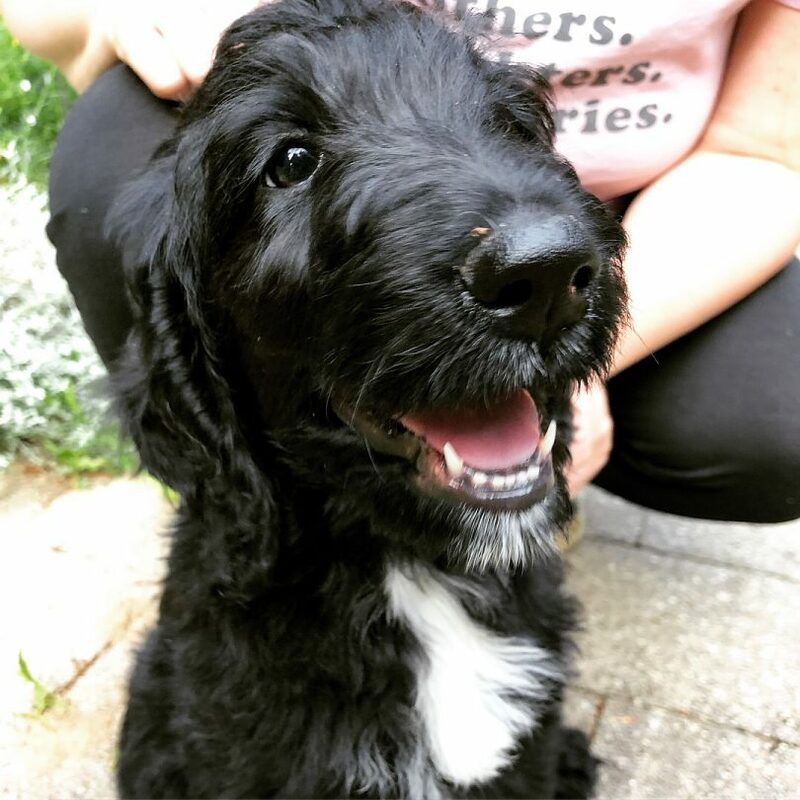 We’ve added another puppy to our family! Meet Lily. We adopted Oscar in March, and several of his littermates were available alongside him. I was tempted to have us take a pair, but training two puppies at the same time seemed daunting. We had gone specifically to see Oscar, and taking only him seemed like the smart thing to do. 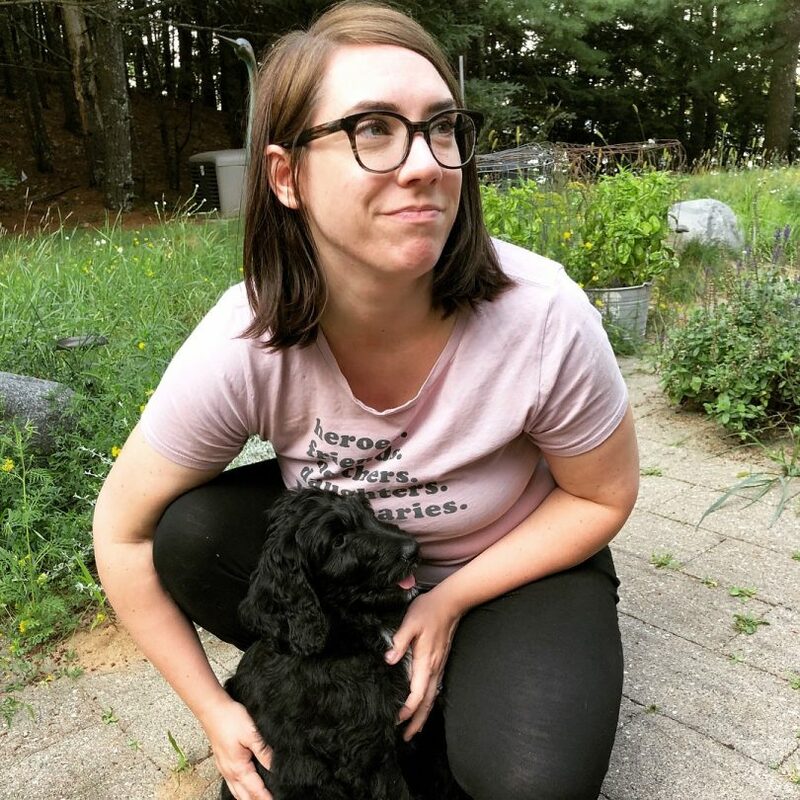 Since then though, I’ve been paying attention to how many people I know of with two dogs and the thought grew more appealing. We’ve been up in the Northwoods of Wisconsin off and on all summer and were just there again this past week. 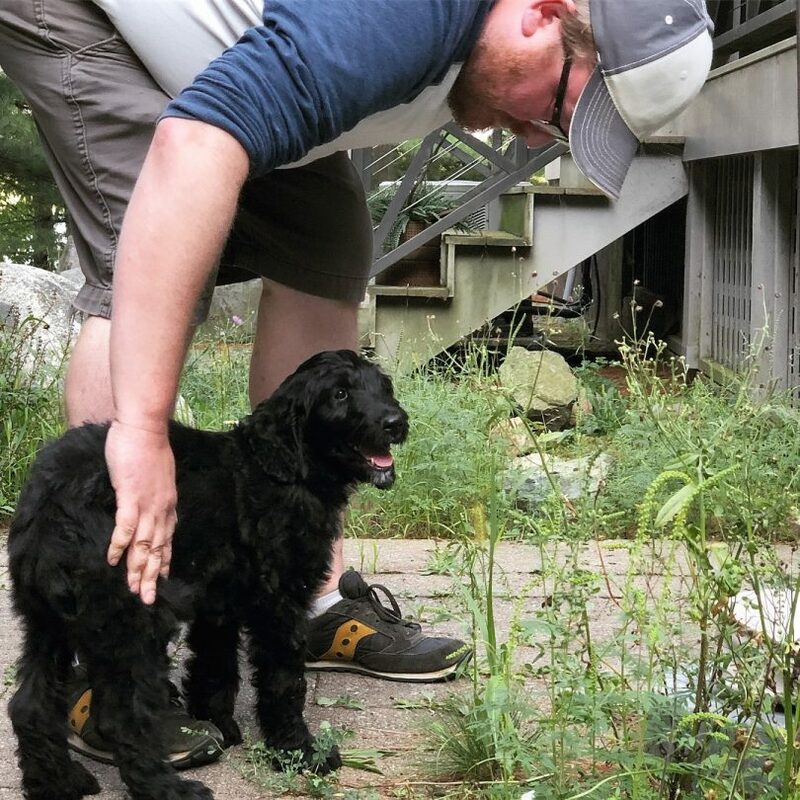 My sister-in-law told us about a litter of the cutest labradoodle puppies available an hour and a half away, and the next day, we were off to take one home with us! I didn’t think we’d add a second dog (let alone another puppy) so soon, but the opportunity arose and we took it! Oscar spent much of the summer with other dogs and got along well, so we were hopeful that he would be fine with another puppy and he has been so far. Oscar is six months old and Lily is ten weeks. They’re both adorable with sweet temperaments, and I suspect Lily will end up being bigger than him when they’re fully grown! 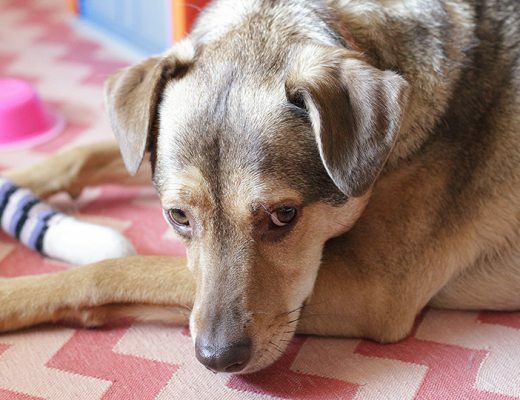 Also, I did a doggy DNA test (Embark, and $20 off through my affiliate link) for Oscar! 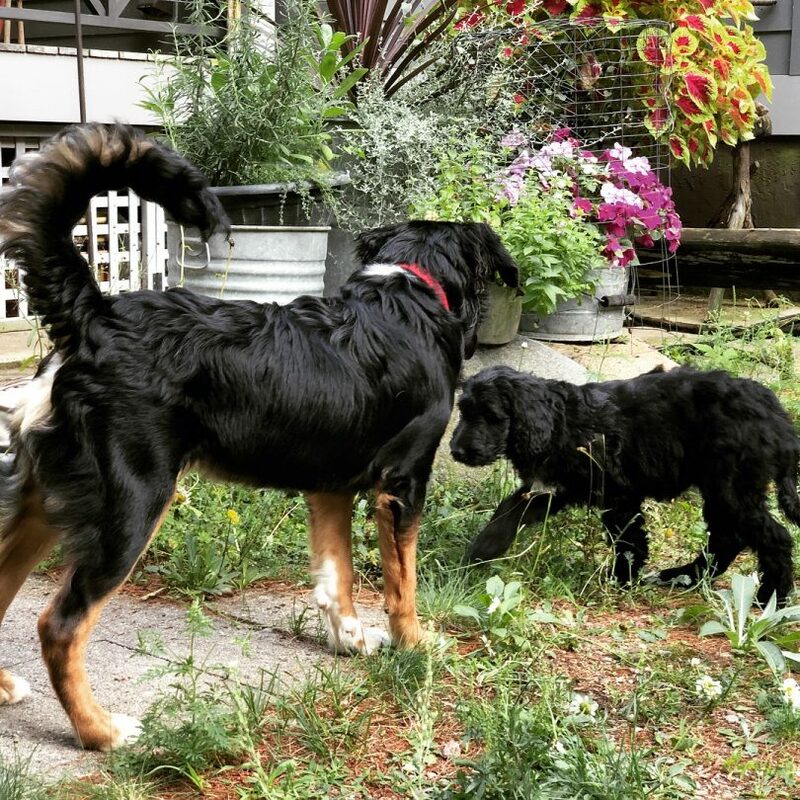 We were told he’s a bernese mountain dog mix, but we knew that breed listings are so often a guess based on looks. 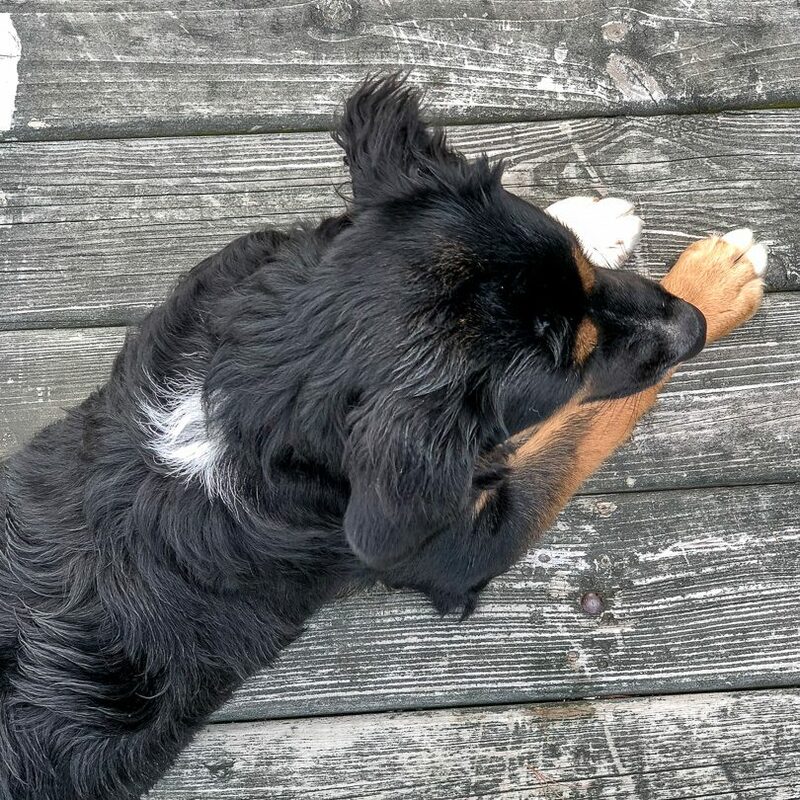 He was fluffy with all the right body markings and people have even asked if he was part bernese while out on a walk. Whoops, 0% berner! We’re more confident that Lily is a labrador/poodle mix, so I don’t know that I’ll do a separate DNA test for her. The results are so interesting though! 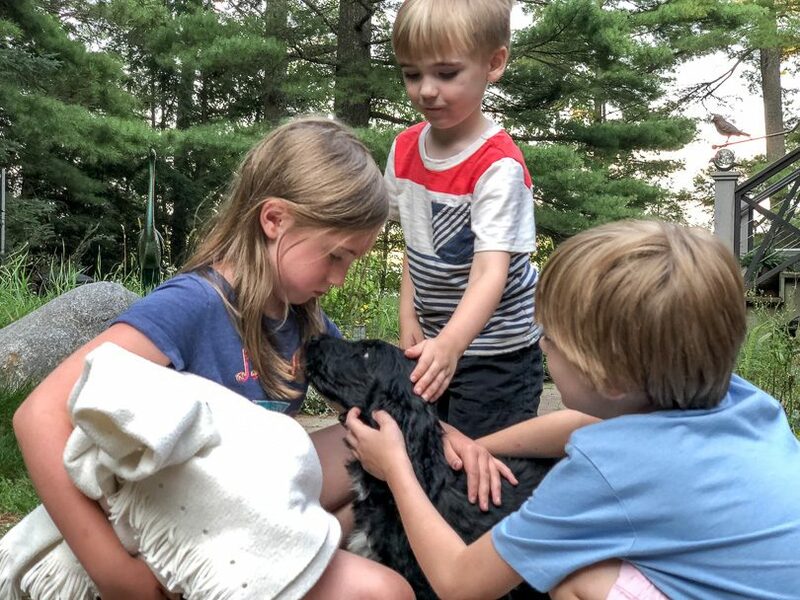 There are advanced reports on various coat, color, and size traits, and Oscar got a clean bill of health for genetic diseases. We’re back home now (a six hour drive in a minivan with two adults, three kids, a dog and a new puppy, plus all of our bags!) and settling in nicely. We’ve still got our cat Mabel, plus the guinea pigs, Butterscotch and Nom-Nom. A full house with lots of paws! It’s wonderful. I’m so curious, is there something about the company or the test in general that make you confident in those DNA results? I’ve always been skeptical of those types of tests, but the way you’ve presented them here makes it seem like you are pretty confident they are correct, so I was just wandering if you could share more about your thought process behind it. I’m mostly asking because we have a mixed breed girl, and I have been interested in but very skeptical of the DNA tests. Yes! 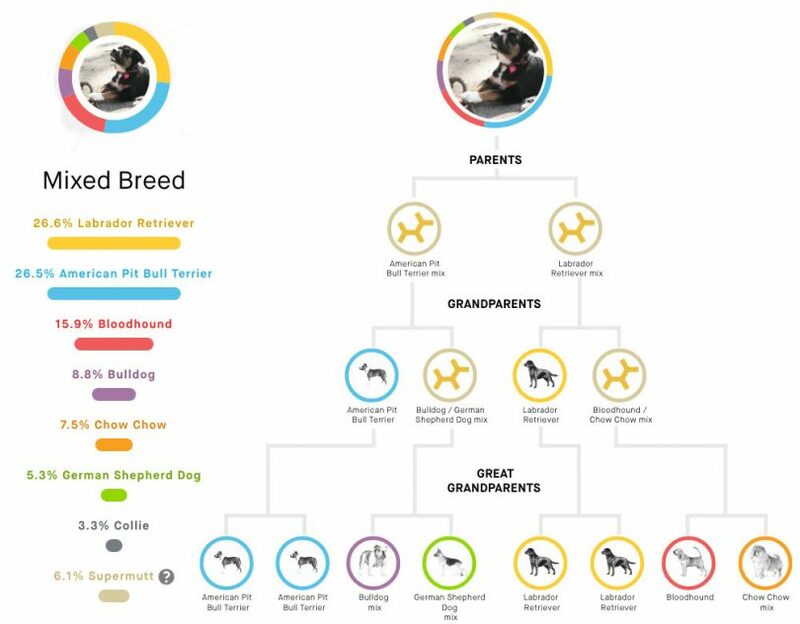 I looked into it and Embark has one of the largest databases of breeds to pull from and compare to, making it more accurate. 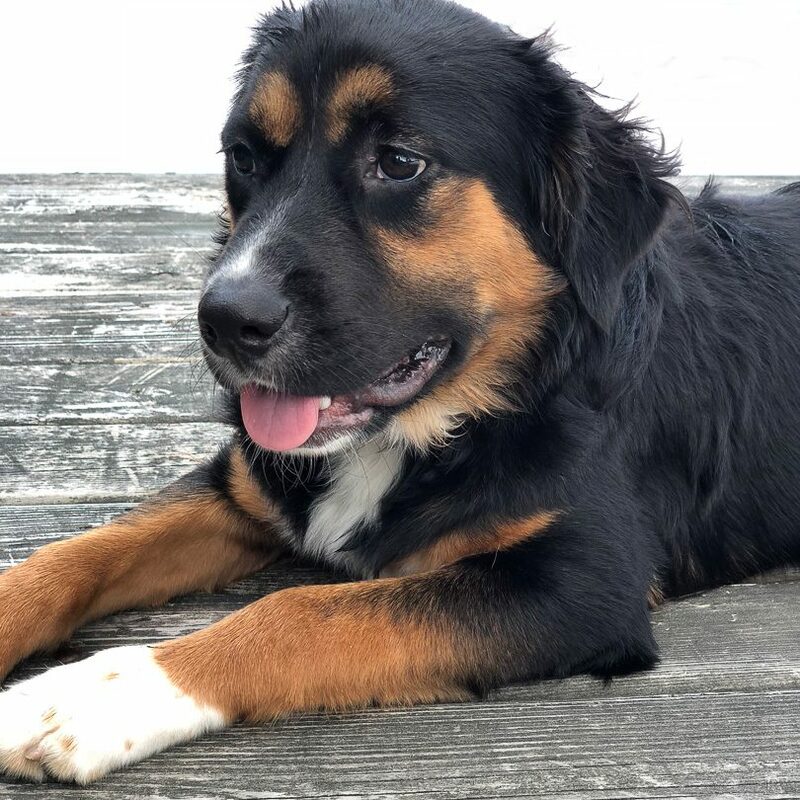 I liked the advanced data provided, and I wanted a health component because if Oscar was part bernese mountain dog, the breed is known to have complications and I would be able to notify our vet. They screen for common genetic diseases like hip dysplasia, so again, we would know if he were at a higher risk and be able to monitor and plan accordingly. They’re also contributing to research (Cornell University College of Veterinary Medicine), so I liked that a test I wanted to do for fun will also further the science around dogs and genetics. This is interesting. I have 2 mixed breed dogs, one we think golden retriever mix (mixed with something smaller) – she is 30 pounds, and one little dog – mini schnauzer mix. The are both rescue dogs so have no idea so this would be fun, I will check out the link, thanks! So exciting! Oscar is clearly handsome and wonderful. And now, Lily! I have a 3 year old silver Labradoodle, and we could not love him more! Spunky, sweet, smart, playful, friendly…gah, they’re the best! 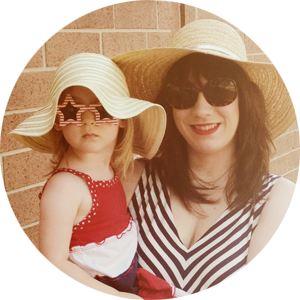 Just when you thought your family couldn’t get any cuter! Congratulations! Hello! I just wanted to say congratulations on the new arrival. She’s beautiful. 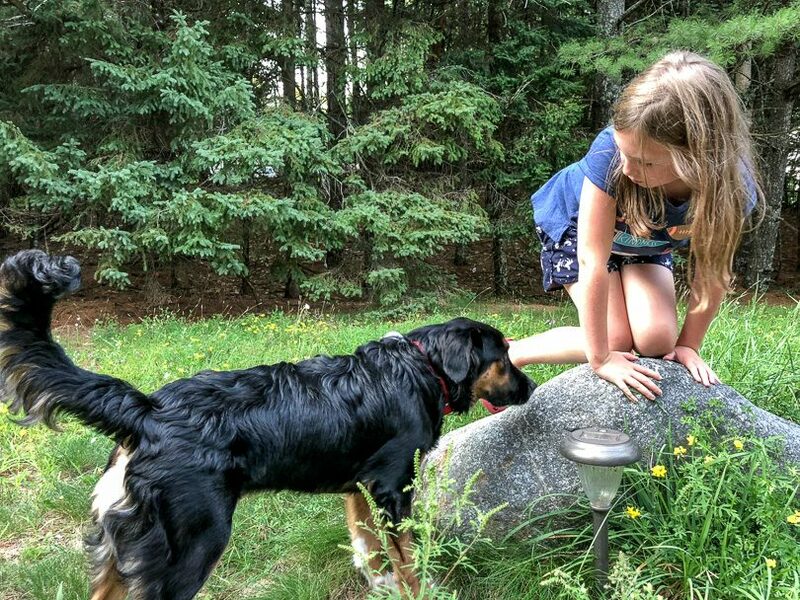 I grew up with lots of pets at various stages through my childhood and I think it’s a wonderful gift to give any child. The love and nurturing qualities it teaches and the bond and companionship that develops, it’s great! Enjoy! In reading the preceding lineage, I think I’d like to have seen the Bloodhound Chow mix. That would have been interesting. Also, it’s pretty hard to get away from Lab and Pit these days (and Chihuahua on the West Coast), they are everywhere. Oscar’s coat is gorgeous, just like a Berner anyway. Congrats on the new pup! Can you check your affiliate link please? I’m not sure is giving the discount. Would love to try this out! 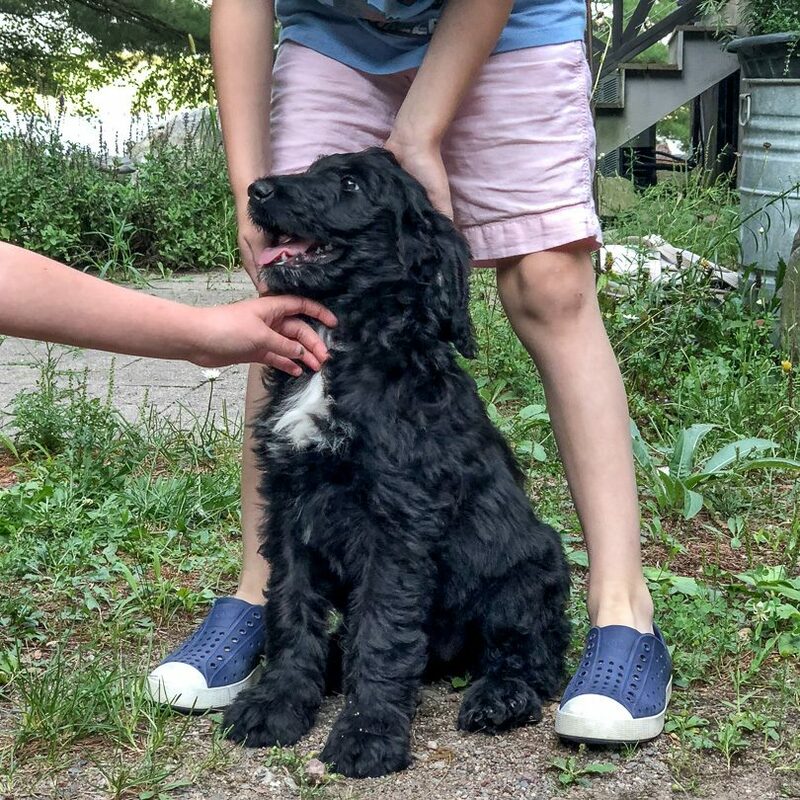 If Lily is Labradoodle she will more than likely be MUCH taller than Oscar when full grown. keep an eye on the two his stance is challenging and hers is very subservient-tail almost between her legs-head down and ears tight not perked.. Give him a short bark sound when he towers over her or she may always be timid -.Let him know to back off a bit-that she is a new member of the family.